One of the things on my bucket list was to see the battleship Arizona Memorial... we did so on December 1... they were already setting up the chairs for the 71st anniversary ceremony of the December 7, 1941 attack on Pearl Harbor. You are taken to the Memorial on a motor launch run by Marines... about 100 people at a time are allowed on the Memorial... which is really very small... once on the Memorial, where everyone is very quiet, you can find a national park employee that is more than glad to answer any questions that you might have. Is extremely emotional...it is the final resting place for 1102, Marines and sailors, that are entombed beneath the memorial in the rusting hulk of the battleship Arizona... you can still see oil leaking from the ship 71 years after it was destroyed. Tickets to visit the battleship Arizona are free, but my advice would be to avoid the lines and make your reservations online, which costs $1.50 a ticket, here's the link to the government site...We were very glad that we did this in advance. There are times when you have to wait several hours for a ticket without a prior reservation... so in my opinion the $1.50 was money well spent to ensure a tour... which starts with a 22 minute movie of film shot on that fateful Sunday morning 71 years ago. From the cruise ship pier we rented a car and shared the expense with a couple of that on the ship... 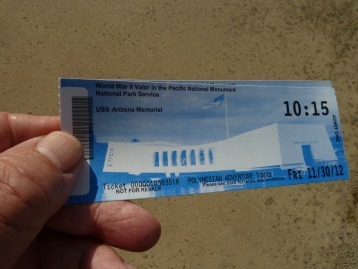 I had obtained four tickets before we left, and they were glad to come along and be guaranteed a visit to the battleship Arizona Memorial...going on a cruise ship shore excursion cost more for one person that we spent for four people, including some souvenirs that we bought. You can always find someone to split the rent a car... and the DIY tours are always more flexible and fun. It is up to you, we could have rented a smaller car and only had two tickets and still would have enjoyed the experience. 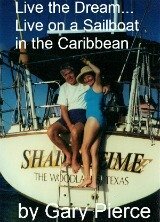 Is very easy to get to Pearl Harbor from the cruise ship pier area in downtown Honolulu. Visiting Pearl Harbor and seeing the battleship Arizona Memorial is something that my wife and I have always wanted to do... it is like no other national Park Memorial that we have... is the resting place for 1102 service personnel ... it is their grave. Survivors that were aboard the Arizona that day have the opportunity to have their ashes interred at the Memorial... there are fewer and fewer of these men left although one was interred in 2012. Among the souvenirs that you can get at the Memorial are books signed, by survivors of the attack... one of which was in the air control tower when the attack started... what a veiw of the national tragedy he must've had in that date that will always live in infamy. Getting around Honolulu is a great deal for seniors... if you remember to bring your Medicare card... it must be the original red white and blue Medicare card. If you have your Medicare card you can ride the bus for one dollar including one transfer... if you are going to be there for more than a day or two, for five dollars a month you can ride the bus all you want...the senior bus pass , not necessary for daily use, can be obtained at several supermarkets around Hawaii. So bring your Medicare card, don't leave home without it, and see Honolulu for next to nothing. For a annual senior bus pass, it is only $30 for a year...a tremendous deal for seniors, quite put up with the expense of a car, when local transportation is provided so cheaply? If you wish to see the battleship Missouri which is also highly recommended, it is $22 a person per ticket... this is where the surrender ceremony was signed in Tokyo Bay on September 2, 1945...the very informative tour guide pointed out that the Japanese military officials, they were not happy about surrender at all, that signed the documents showed up in class B uniforms in contrast to the Foreign Minister who was in top hat and tails. 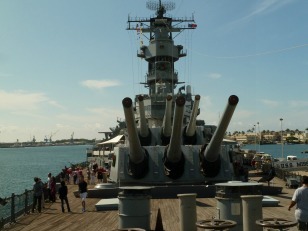 The 16 inch guns of the battleship Missouri, well worth the tour. 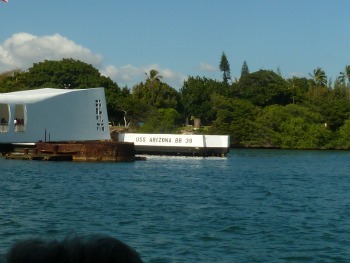 Thanks for reading frugal Honolulu...don't miss the opportunity to see Pearl Harbor.